Regardless of whether the deputy’s determination is in favor of the claimant or an employer experienced with the unemployment process, the deputy’s determination often provides false hope to the party to whom the deputy rules in favor. The appeal’s judge, sometimes called a hearing officer or referee, is not bound by the decision or the documentation used by the deputy in the deputy’s determination. Many employers and claimants believe that the burden of winning at the appealhearing is on the party who the deputy ruled against. 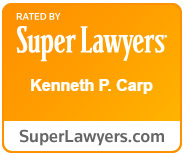 Kenneth Carp knows the importance of the deputy’s determination in the appeal process and how that determination and the appeal’s decision are used by both claimants and employers for the pursuit or defense of wrongful termination claims. The Law Office of Kenneth P. Carp’s advantage over non-focused hearing representatives and court control firms is that we don’t look at a single discharge in isolation of potential claims arising from the discharge. In addition, as a by-product, part of our Continuity of Care program is that the likelihood of the obtaining the right information and prevailing at the deputy’s level is greatly enhanced. Professional human relations managers (PHR), employers and claimants can learn more about the Law Office of Kenneth P. Carp by contacting us at 636-947-3600 or kennethcarp@kcarplaw.com.